I will also miss the early morning sound of the eight wood pigeons who would visit ahead of three separate flocks of blackbirds, rooks, starlings and crows. And I reckon it will be several years before we have swallows back under the eaves and field mice roaming under our shed. ++++ Bernie Goldbach has spent 21 summers in Ireland. 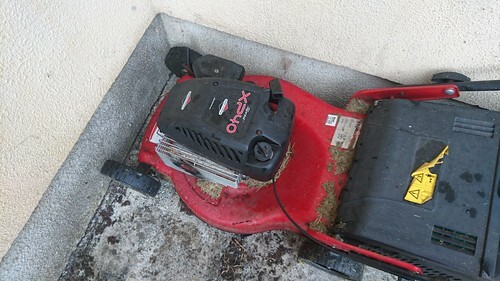 He gave his 10 year old mower to a friend neighbour before moving from the countryside.